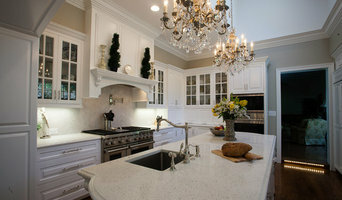 Meridian Homes specializes in luxury renovations and custom home building. Our principals, Jonathan and Michael Lerner, are brothers who founded Meridian Homes 21 years ago, and are natives of the Washington, DC area. Our passion for creating exceptional residences has earned our company dozens of awards. More importantly, our personal engagement in every project has built a reputation for quality construction and business integrity. Our customers know that all it takes is a single phone call to talk to one of the principals who has a personal stake in your satisfaction. At Meridian Homes, we’re proud of our reputation for outstanding client service and solid, beautiful craftsmanship. We strive to exceed our clients’ expectations with every renovation and custom home that we build. Please call or email us today to learn how we can help you build the home of your dreams. MDV Remodeling is a boutique design-build remodeling and custom home building construction company servicing customers in Maryland, Northern Virginia, and the District of Columbia. Your home is usually the largest investment of your life. More importantly, it is the place where your family gathers, friendships start and life long memories are made and shared. Here at Craftsman Construction we know your house is more than a building, it is your home. Our passion is to make your home everything you ever dreamed it could be for your family. From the beginning we ask you lifestyle questions. We learn how your family lives in and around your home. If there are any special needs like ageing in place or special needs for handicapped family members. Understanding your wants needs and desires leads to a design that fits your lifestyle now and in the future. Craftsman Construction Specializes in Design Build Projects with an emphasis on energy conservation. Craftsman Construction builds environmentally friendly and energy efficient homes for the new millennium.Craftsman Construction transforms home environments for middle and upper income clients, so families can live, work and play according to their lifestyle. We are unique in the building industry because we enrich the lives of families we work with thru our Design Build Process. Creating the custom home of your dreams requires a tremendous amount of forethought and effort. Architectural design, engineering, permitting, selection of materials, and the actual construction process is overwhelming for most people. This is why Craftsman Construction is more than just a builder. We offer all these services under one roof; this ensures that your home is delivered on time, within budget, and with an unmatched level of craftsmanship. Every component that goes into a Craftsman Construction home has been thoroughly researched, tested and selected for its ability to contribute to the overall integrity and value of your home. We search for the best and most efficient products by attending national home building trade shows. When we find a unique product that offers benefits to our clients, we implement them in the construction of your new home or remodeling project. "We stand behind our work" a common statement by our competitors, but this is built into our culture. Craftsman Construction offers a unique approach when it comes to home construction. We manage the process by being completely hands-on, so no detail from foundation to roof is overlooked. Design-build firms take on the responsibilities of architects, contractors and construction companies, all under one roof. These full-service firms focus on a streamlined design-build process — from the initial design to the estimating phase to physical construction — in the hope of creating an efficient experience for both the client and the company. Because the entire project is happening within one company, Potomac design-build firms are able to overlap the design and construction phases of the project, which often speeds up the project significantly. In addition, these firms work to minimize risks for the project owner through single-point responsibility contracts. However, depending on the firm, you may still want to contact an interior designer or architect to help create the exact look you want. Here are some related professionals and vendors to complement the work of design-build firms: Interior Designers & Decorators, Landscape Architects & Landscape Designers, Architects & Building Designers, Photographers. Before deciding on a residential design-and-build company in Potomac, MD, think about what you want from your new home. Do you want a large kitchen for entertaining? Do you need several bedrooms for children and guests? Do you want a finished basement for extra space or storage? 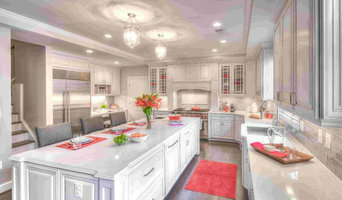 Look for Potomac design-builders that specialize in the areas you're looking for. Budget is obviously a determining factor in the outcome of your project. To make sure you stay within your means, consider making a must-have list and a wish list. Gauge where the estimates are falling to determine which design-build contract can realistically strike the balance between the two. Find a Potomac design-build company on Houzz. Narrow your search in the Professionals section of the website to design-build firms in Potomac, MD. You may also look through Potomac, MD photos to find a pool you like, then contact the design-build firm that created it.